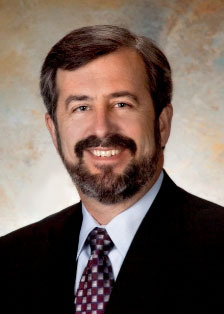 Russell A. Budd is the president and founder of Wall Systems. He earned his Bachelor's Degree in Building Construction from the University of Florida, and is a Florida State Certified General Contractor. He is a “DRI” Designated Responsible Individual through The UL Qualified General Contractor Program and Factory Mutual’s FM 4991 Designation. Since 1986, Russell has built Wall Systems into the premier drywall contracting firm in Southwest Florida, completing such notable projects as The Ritz Carlton Resort, The Ritz Carlton Tiburon, the Naples Grande Resort, Cleveland Clinic, NCH Healthcare and the North Collier Regional Hospital. He is a past president of the Florida Wall & Ceiling Contractors Association, and former board member of the Florida Home Builders Association. He is a past president of the Collier Building Industry Association, where he was selected as the 1994 “Builder of the Year”. He was also one of the inaugural inductees in the CBIA’s Collier Housing Hall of Fame. Russell Budd is also a partner in WS Contracting, LLC, a Service Disabled Veteran Owned Small Business (SDVOSB).